At first glance, the debut ratings for Lifetime's big summer gamble, new drama UnReal, seemed as disastrous as the on-camera escapades in the series' faux-Bachelor show, Everlasting. UnReal's June 1 debut ratings—it drew just 587,000 adults ages 18 to 49 in live-plus-three, a 43 percent drop from its Devious Maids lead-in, and 1.15 million total viewers, which was 48 percent below Maids—were variously described as "UnGood," "low" and "lackluster." Yet, on Monday, Lifetime announced that the critically acclaimed series—yes, it's one of the summer's best shows—had scored a surprise Season 2 renewal. In its release, the network noted that the first three episodes had averaged more than 4.8 million viewers across all platforms, a far cry from those paltry early numbers. It's the biggest summer TV trend: Acclaimed shows with seemingly soft ratings—this also includes Aquarius and Mr. Robot—are still landing early renewals in large part because of their robust digital numbers. "The ratings that we see really can be just the tip of the iceberg of who's really watching the show," said Brad Adgate, svp of research at Horizon Media, "especially in the summer, when people are traveling, and people are outside and doing other activities and going to movies. I think the mindset is changing on what's a hit show and what isn't." That's exactly what has happened with UnReal, a dark drama co-created by former Wieden + Kennedy content producer Sarah Gertrude Shapiro. "The show has been a success for us, and the definition of success is evolving," said Liz Gateley, Lifetime's evp and head of programming. While TV shows occasionally pull in large audiences during summer—25.4 million viewers tuned in for the Women's World Cup on Fox, making it the most-watched soccer match in U.S. history—it can be difficult to attract them on a regular basis. But these shows' unconventional successes come thanks to some creative risk taking on the part of their networks, which have devised inventive ways to reach summer viewers. 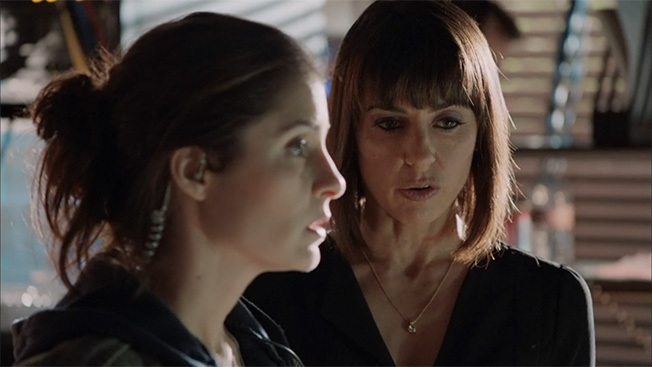 Based on UnReal's early critical accolades and the premiere's demo—it's the network's youngest scripted series ever, with a median age of 43—"we saw that this was a new audience for us, coming from other places, and so we strategically decided to give away the first four episodes, digitally, as a way of getting the viewers to come in Episode 5," said Gateley. Lifetime made the episode available for free online and on iTunes. And the gamble paid off. Audiences returned for Episode 5, and ratings jumped 47 percent in total viewers and 62 percent in adults and women 18-49. The show hit series highs in those demos, as well as in adults and women 25-54. "Once we saw that fifth-week episode and we knew we had a core audience hooked on the show, [Season 2] was an easy green light for us," said Gateley. But UnReal's critical accolades—rare for a Lifetime series— were just as important to execs as those ratings jumps. "The real reason we decided to green-light it was because it's a great show, and it's our most critically acclaimed show," said Gateley. "It's pushing our brand in a new direction—a younger direction, a more affluent direction—and for us, it's a game changer. It's put us in the cultural zeitgeist." USA also took an unconventional approach to launching its similarly dark drama, Mr. Robot, releasing the pilot several weeks early on almost every digital platform. That drew 2.7 million people in, and their early raves, along with the critical acclaim and the network's faith in both Season 1 and the Season 2 vision pitched by creator Sam Esmail, prompted the network to renew the show for a second season even before the pilot episode debuted. The network's early faith was rewarded when Week 2 jumped 36 percent among adults 18-49 (to 1.41 million) and 13 percent in total viewers (to 3.2 million). Earlier in the summer, NBC pulled a Netflix, and made the entire season of its David Duchovny drama Aquarius available for streaming after the premiere episode aired on the network. It picked up the show for a second season, noting that Aquarius' digital performance was "key" to its renewal. Aquarius is the No. 2 most-viewed drama premiere ever on NBC.com and the NBC app, second only to The Blacklist. "It's driven some record numbers for NBC Digital and helped us reach viewers who might have otherwise overlooked a great summer drama," said NBC Entertainment president Jennifer Slake in announcing the renewal. Another reason for the early pickups is that the networks can assure viewers who may be on the fence about diving into a new show that might get canceled that yes, it's safe to start watching. "They could be sending out a message that, hey, we think this is a hit show, and this is worth our investment," said Adgate. "You should watch this show because other people are watching it." The unusual paths to early renewals don't mean the networks suddenly are out of the ratings business, though. "We're still a linear channel, but there are things you look for in the heartbeat of a show," said Gateley. "And it's not just the linear ratings, anymore."